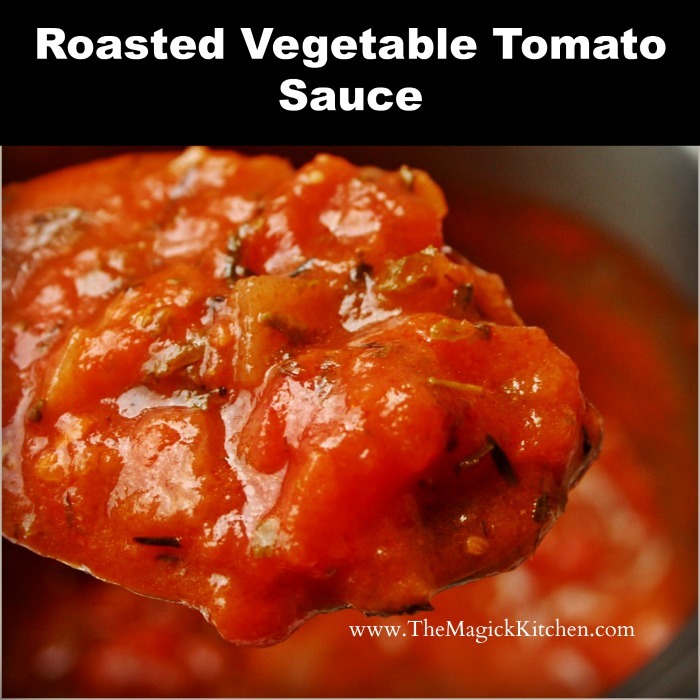 This Roasted Vegetable Tomato Sauce is a very easy and delicious recipe, you can make anytime. You can use leftover roasted vegetables or even grilled vegetables! Roasted vegetables give this sauce a deeply unique flavor! In a large bowl, toss vegetables and garlic in olive oil. Spread out onto a large sheet pan, and sprinkle with salt. Roast veggies and garlic cloves for about 15 minutes, stirring half-way through. To avoid burning your garlic, make sure each glove rests above the vegetables during this roasting process. 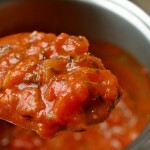 Place your slow cooker on low and add tomatoes, red pepper flakes, vinegar, sugar, and remaining salt and pepper; stir. Stir in roasted garlic and veggies. Cook on low for 6-8 hours. Do not open the lid while cooking. When the sauce is nearly done, mice the Basil and Oregano. Use a hand blender to puree the sauce. You can puree in batches using a blender or food processor if you do not have a hand blender. Stir in the minced fresh basil & oregano, and allow to stand for 5 minutes. Serve over pasta, polenta, or use as a pizza sauce. I invite your feedback. Please comment below.